The quickest and easiest way to serve a pretty cake for any occasion is to either glaze it or sprinkle it with confectioners sugar. Up until now I hadn't used cake stencils to decorate my cakes, so I finally took out the ones I do own for this purpose and tried them out. 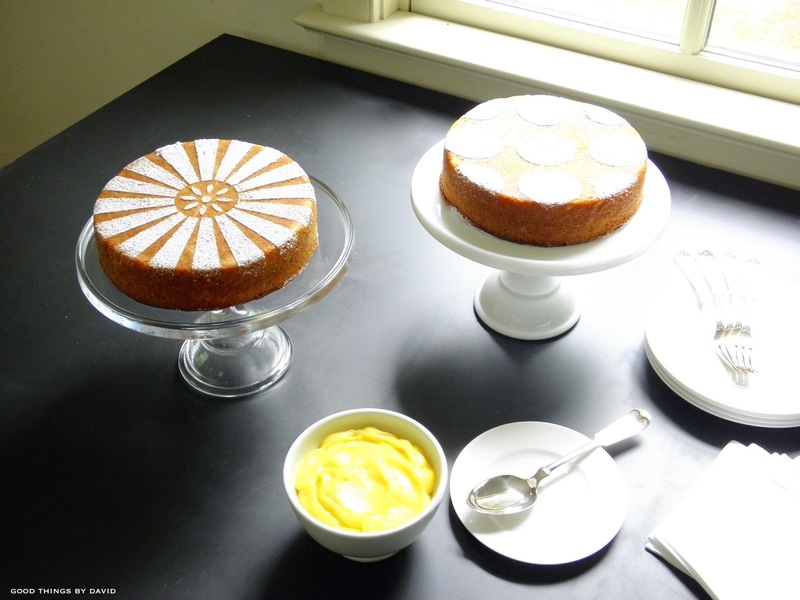 I'm glad I did because the plain cakes look so wonderful just as they are, and only need a little something to accompany each slice. What's nice about this type of cake 'decorating' is that you can choose from a number of cake stencils easily found online or at craft stores, and make them at the last minute. 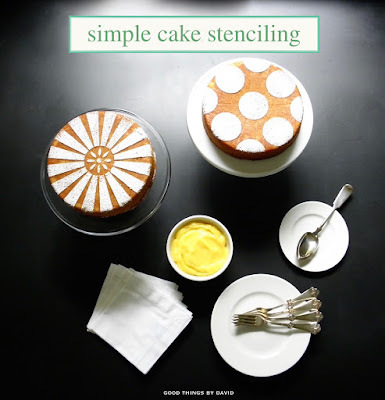 Years ago, Martha by Mail was one of the first catalogs to offer cake stencils, and to this day, these classic designs are just as effective. 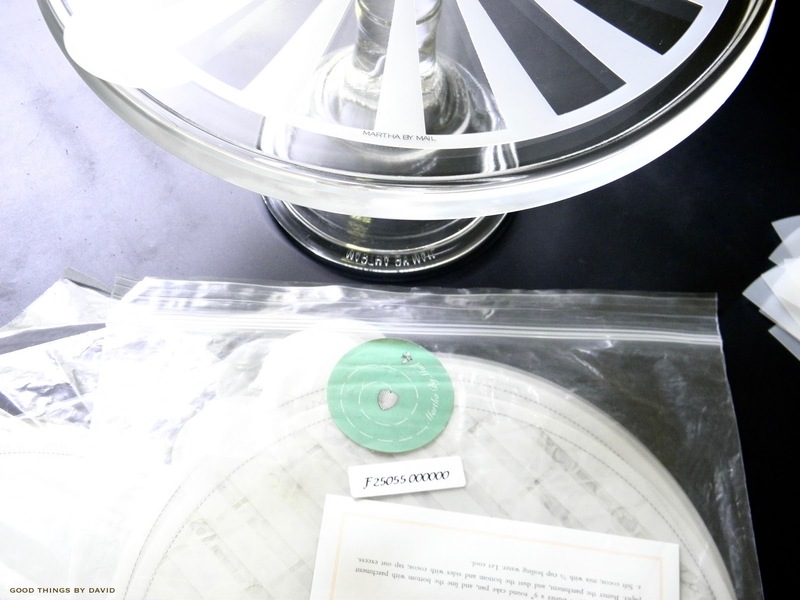 Several sets were made for the now-defunct catalog. Most cake stencils need to have the designs carefully punched out from the centers before using. I highly recommend that you keep these cut out negatives so that you can use them for other stenciling projects. 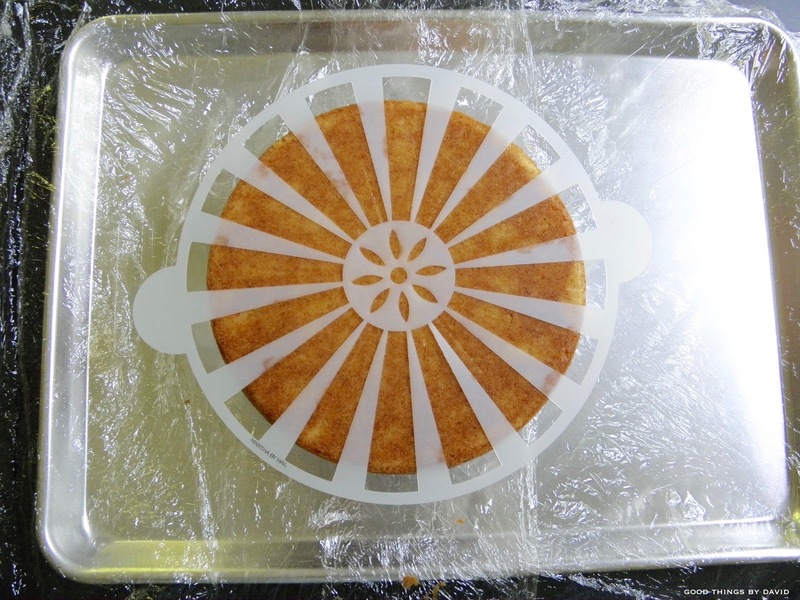 On a baked and cooled cake, carefully center the cake stencil and gently press it to the surface of the cake. 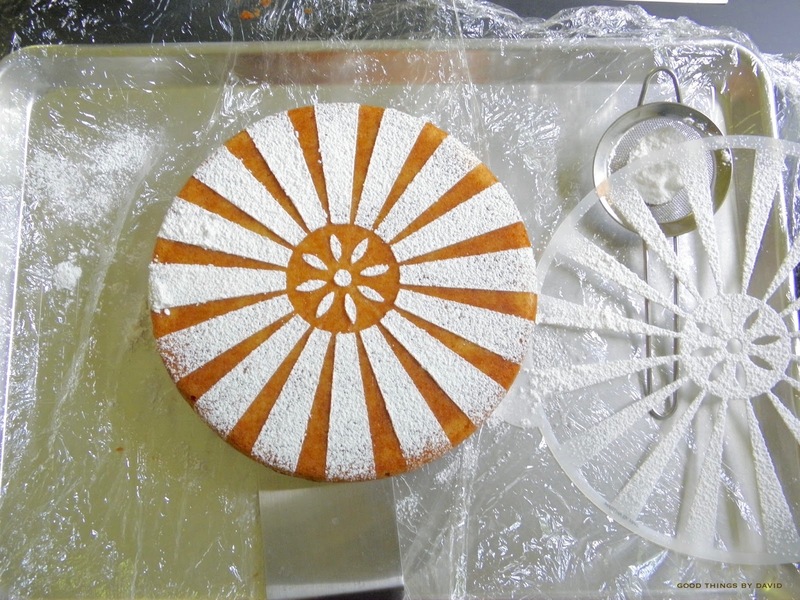 It's important to stencil on a cake with a flat, even surface. Generally, it's best to do this on the bottom side of a cake layer. 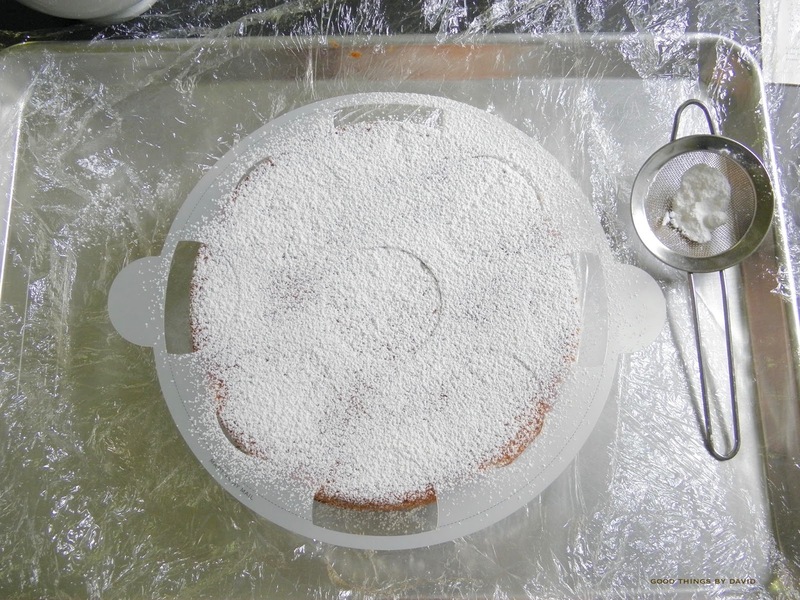 You can work directly on the cake stand or cake plate, but it's neater to work over a baking sheet. 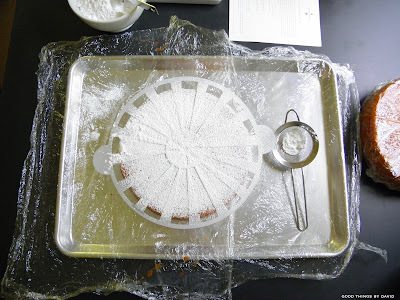 Using a fine mesh sieve, add about 1-2 tablespoons of confectioners sugar and gently sprinkle it over the entire surface of the cake, making sure to dredge every intricate part of the stencil design. There you have it. Stenciling 101. 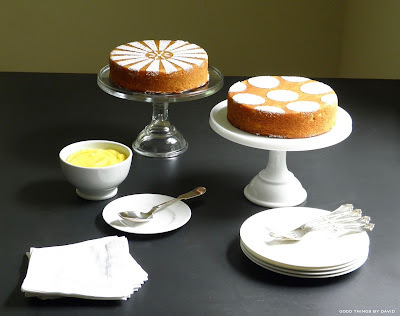 Simple cakes like these are just the thing for an impromptu dinner with friends or for a pick-me-up in the break room at work. 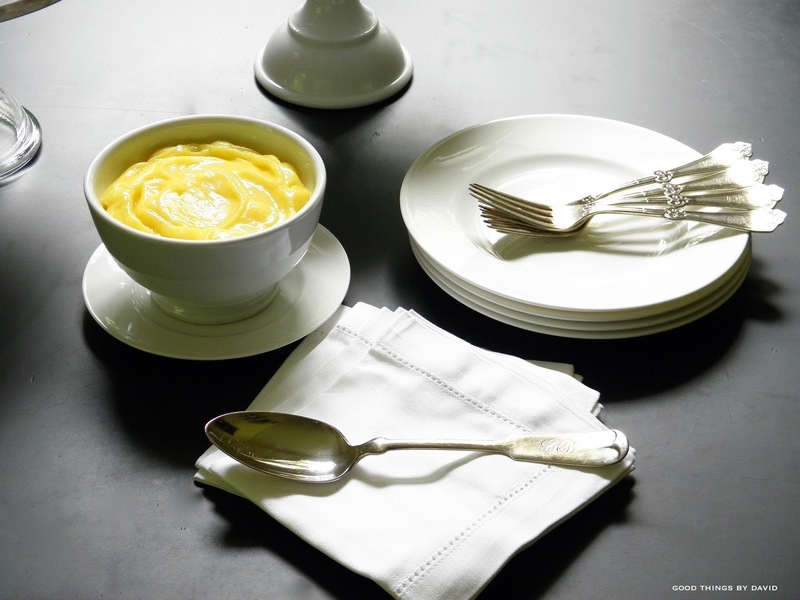 They're also perfect for those who don't like icing or fussy desserts. As long as the cake recipe is a tried and true winner, the cake and the presentation will be a hit with everyone. 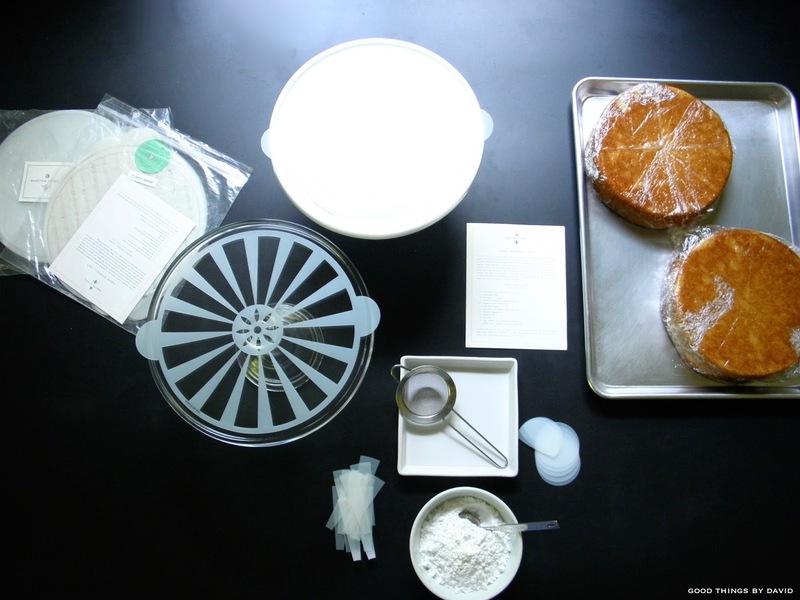 Don't limit yourself to stenciling bare cakes with cocoa powder or confectioners sugar, because these can easily be applied to cakes with glazes or smooth buttercreams. A chilled buttercream will create the perfect surface on which to stencil, and if you happen to have an airbrush food-coloring sprayer, then you can really get creative. 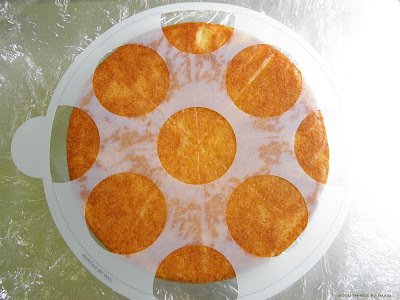 Look for cake stencils the next time you're shopping online or at a craft store. Enjoy! Very effective - simplicity yet so classy. Great work again David. Thanks for so freely sharing your knowledge and ideas. I need someone to slap me back into baking! 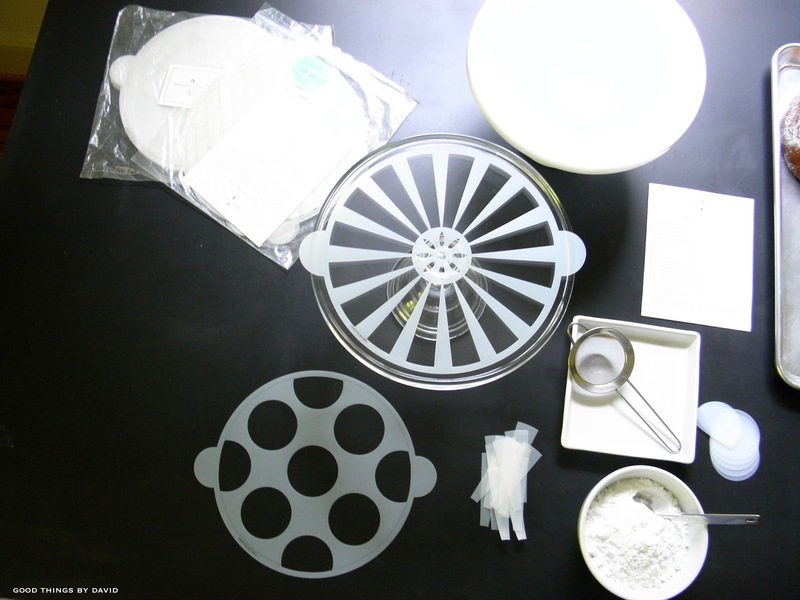 I have the MBM stencils, still in the package. Never used them. Kenn, you really need to get into the kitchen and bake a simple cake so that you can use these stencils. You're going to like them a lot!